We're passionate farmers and industry veterans who have been growing pot for years. We started A Pot for Pot to empower people to grow their own medicine, and combat the stigma that pot is difficult to grow. 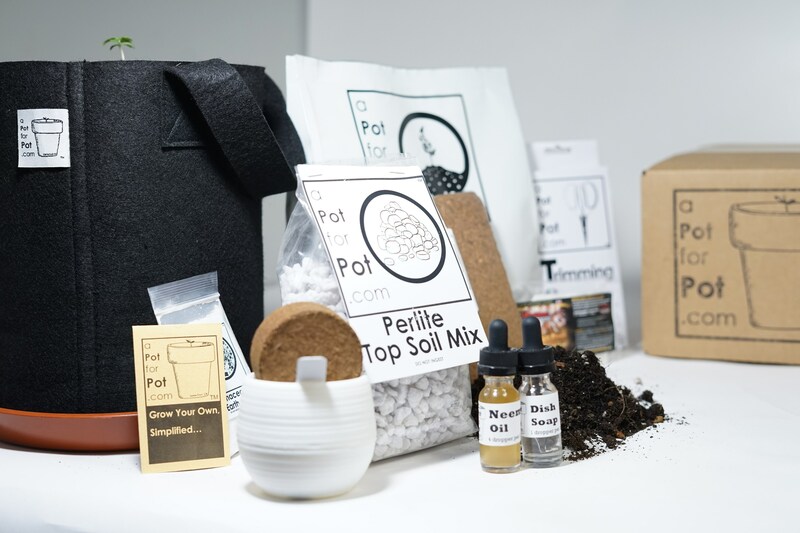 We created a kit so that anyone can grow their own clean, green weed at home. Everything you need is in the box. Just add water, seed, and sun.